Lemons are full to the brim with nutrients, including vitamin C, B-complex vitamins, calcium, iron, magnesium, potassium, and fibre – they even contain more potassium than apples or grapes! 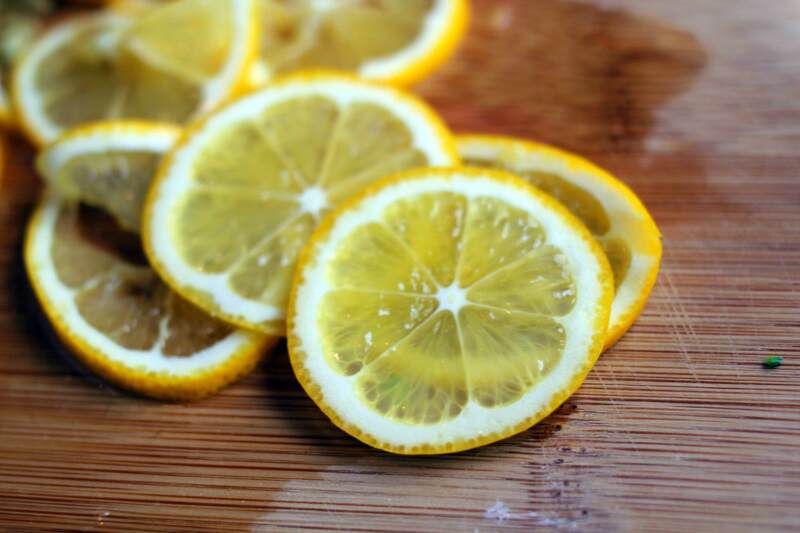 Because of how hard lemon juice can be on the enamel of your teeth, it’s important to dilute it with water of any temperature (though lukewarm is recommended). Drink it first thing in the morning, and wait 15 to 30 minutes to have breakfast. This will help you fully receive the benefits (listed below) of lemon water. If you drink lemon water on a regular basis, it will decrease the acidity in your body, which is where disease states occur. It helps to remove uric acid in your joints, which is one of the main causes of inflammation. Vitamin C is vital to keeping up a strong immune system, and lemon juice is full of it. The level of vitamin C in your system is one of the first things to plummet when you’re stressed, which is why experts recommended popping extra vitamin C during stressful days. Lemon juice provides your body with energy when it enters your digestive tract, and it also helps reduce anxiety and depression. Just the scent of lemons has a calming effect on your nervous system! Replacing your morning coffee with a cup of hot lemon water can really do wonders. It can make you feel refreshed, and no longer have to deal with that pesky afternoon crash – your nerves will thank you. Warm lemon water is the most effective way to diminish viral infections and their subsequent sore throats. Plus, with the lemon juice also boosting your immune system, you’ll simultaneously fight off the infection completely – winning all round! It’s personal preference with regards to how much lemon juice you squeeze into your water. You may want to use an entire lemon’s juice, but I find half a lemon’s juice daily works for me and of course you can dilute the lemon juice more, depending on your personal taste. Not only are the benefits of lemon water endless, it’s one of the most substantial yet simple changes you can make for your health. I have drank it every morning for two weeks and can’t believe the benefits I have already reaped from it, so let me know how you find it!